Product prices and availability are accurate as of 2019-04-22 14:58:51 UTC and are subject to change. Any price and availability information displayed on http://www.amazon.com/ at the time of purchase will apply to the purchase of this product. 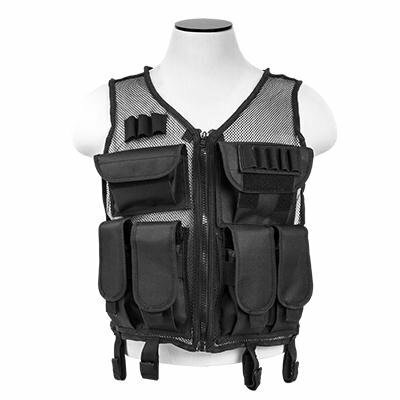 The NcSTAR Vism Black mesh tactical vest is perfect in hot weather! it features 4 each AR magazine pouches with hook and loop flaps, 8 shotshell elastic loops and two utility pouches on the front panels. This lightweight mesh vest fits most users with: medium - XL t-shirt sizes.